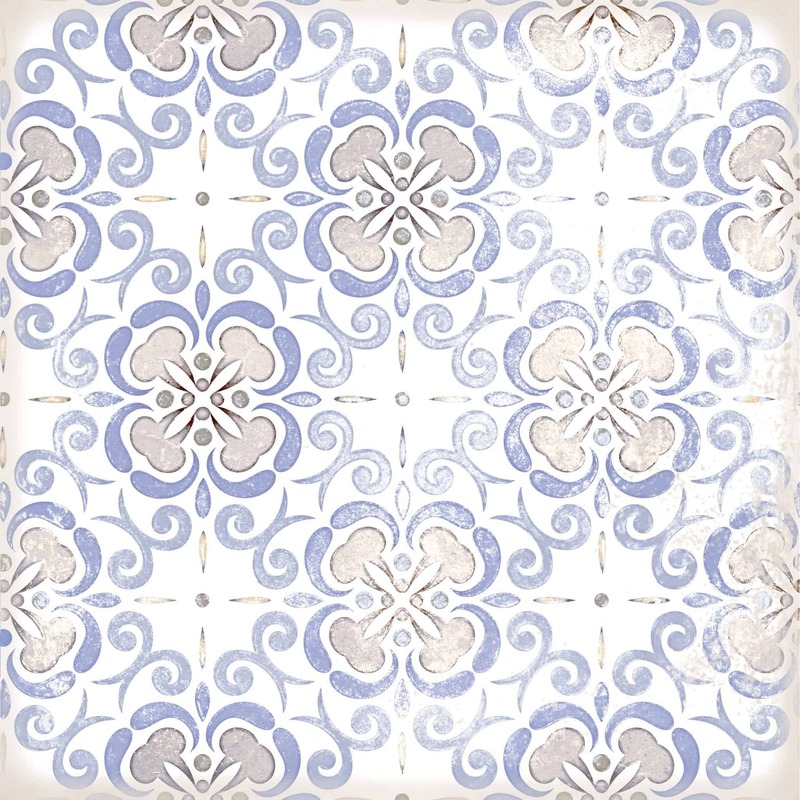 A highly decorative range of 150×150 ceramic gloss wall tiles. 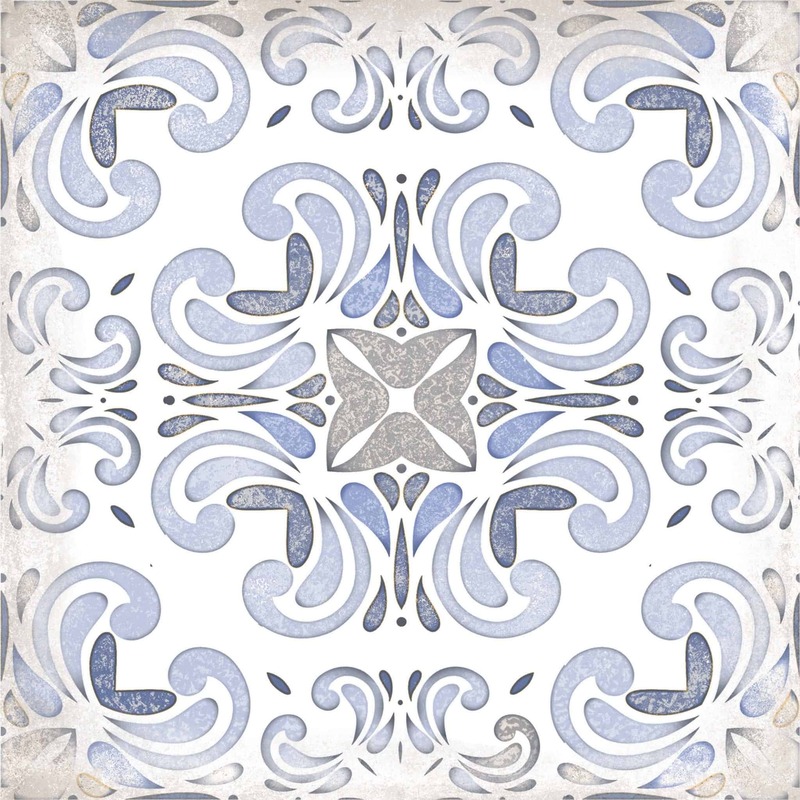 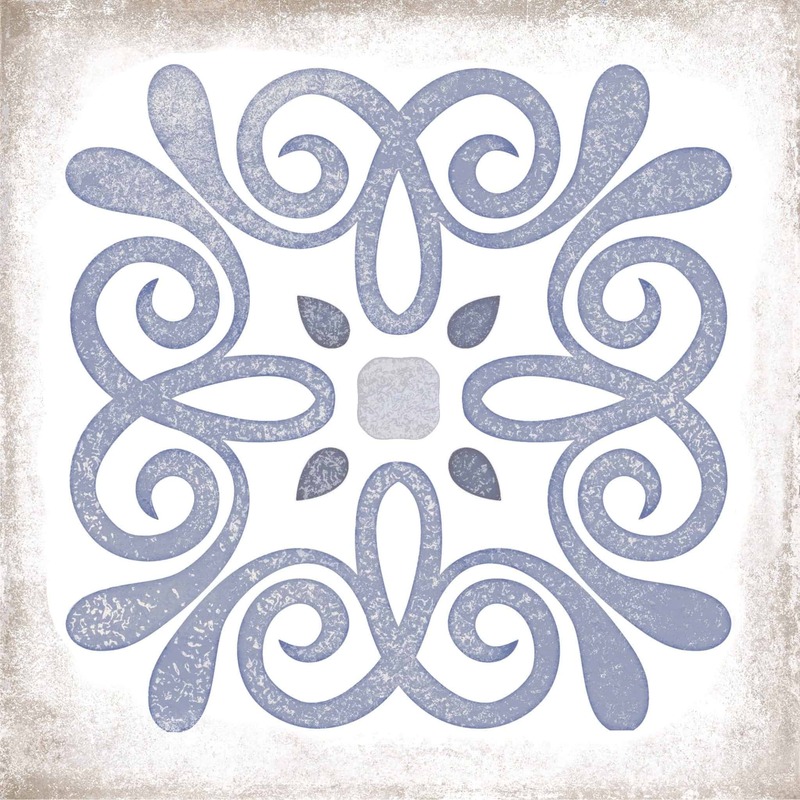 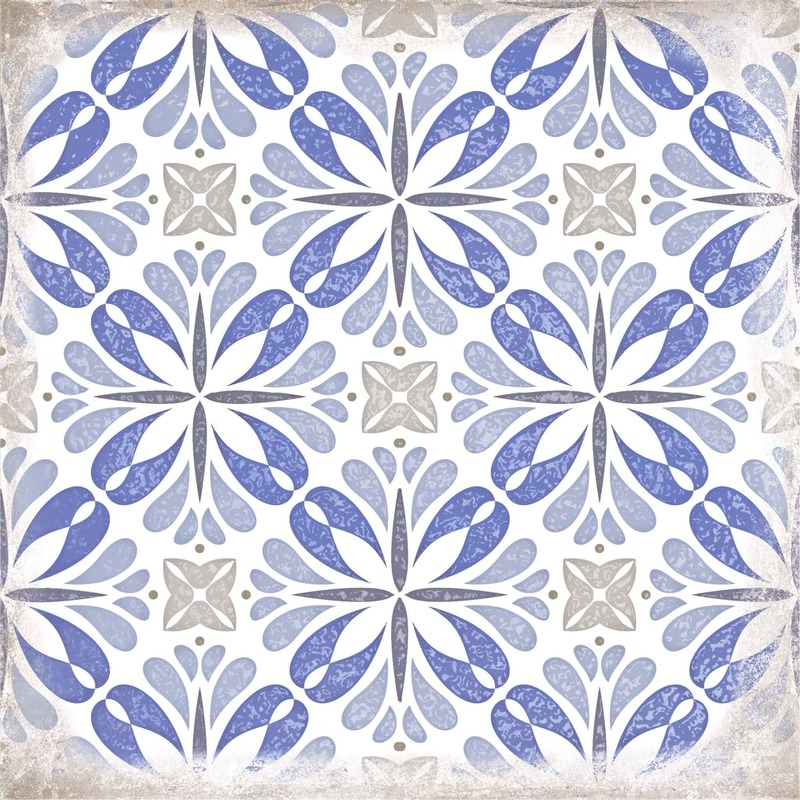 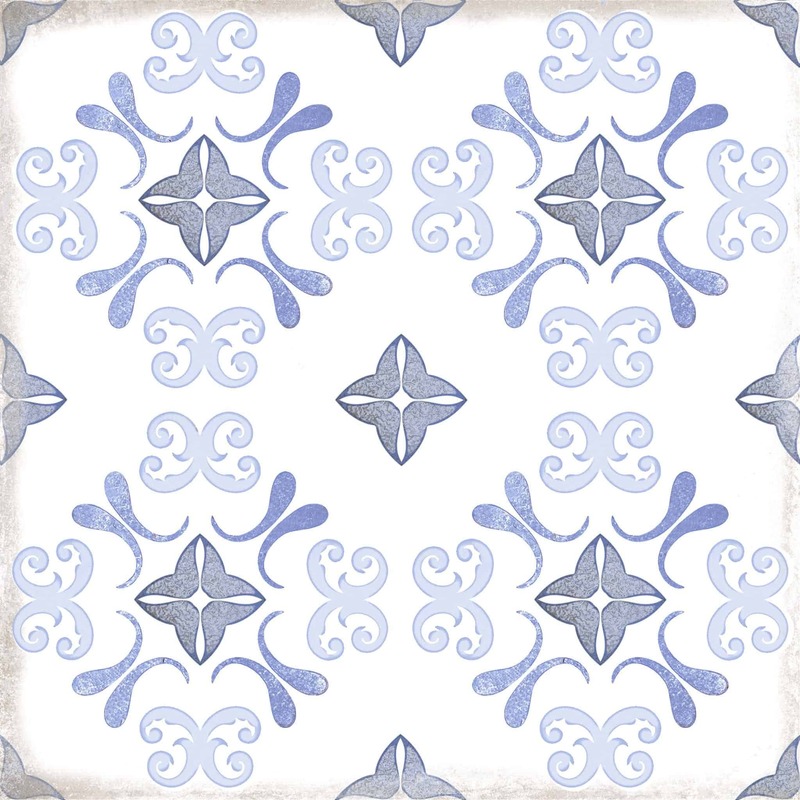 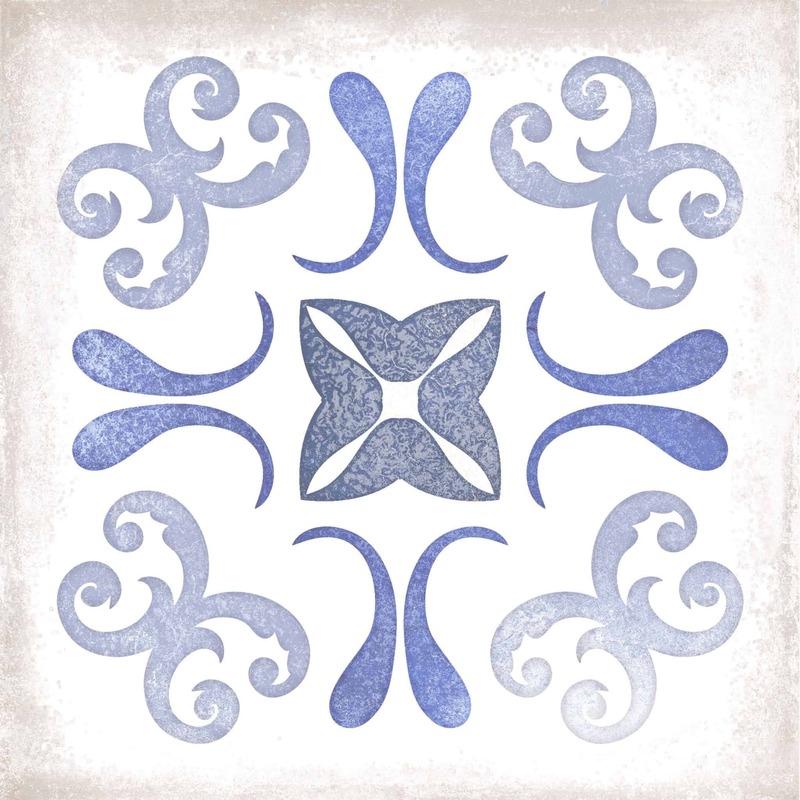 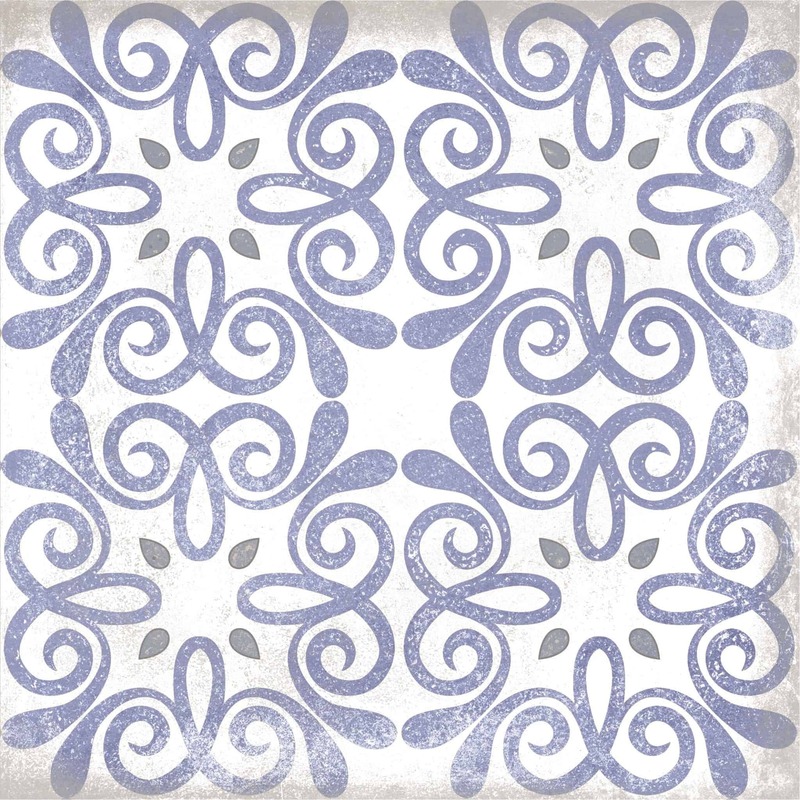 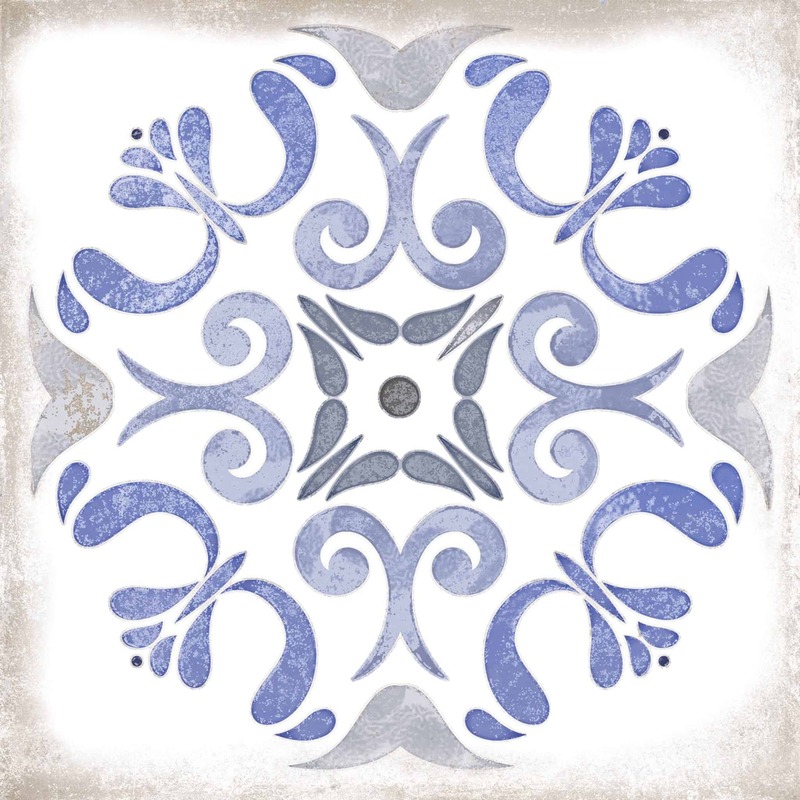 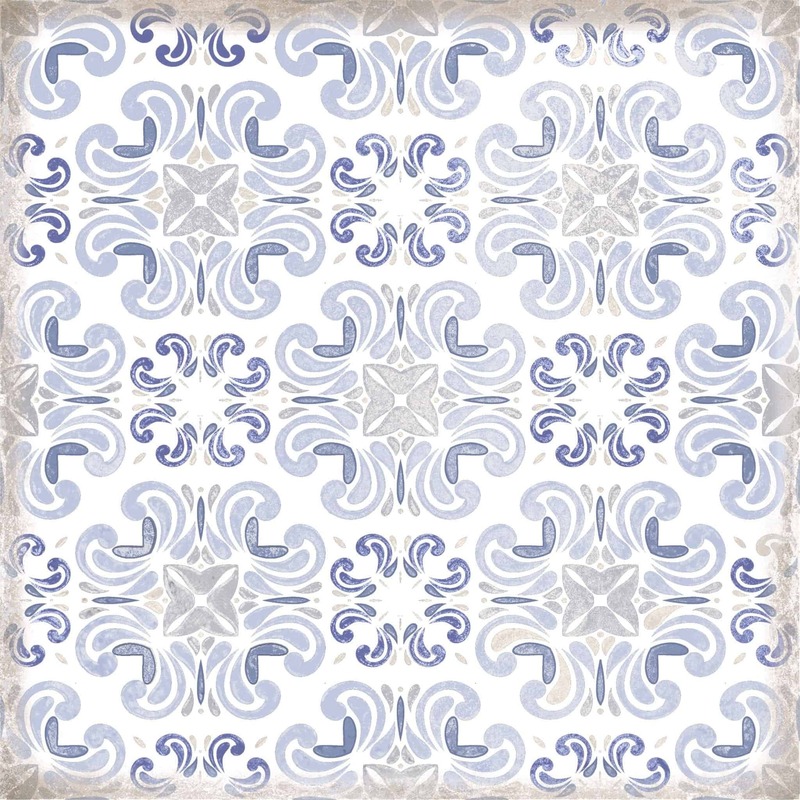 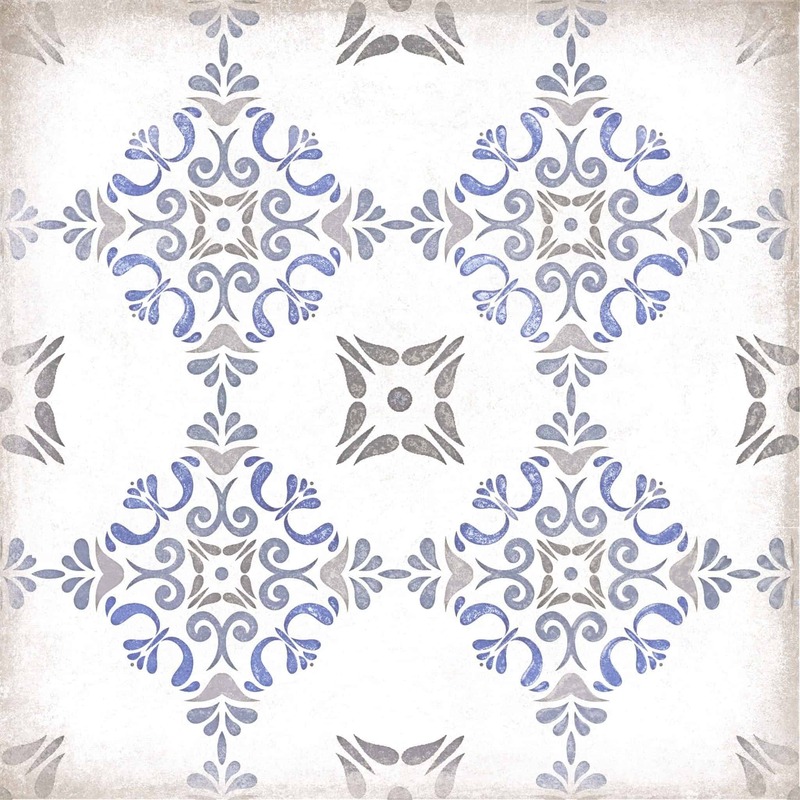 The weathered design of blue and white decorative tiles comes in 11 different designs adding personality and character. 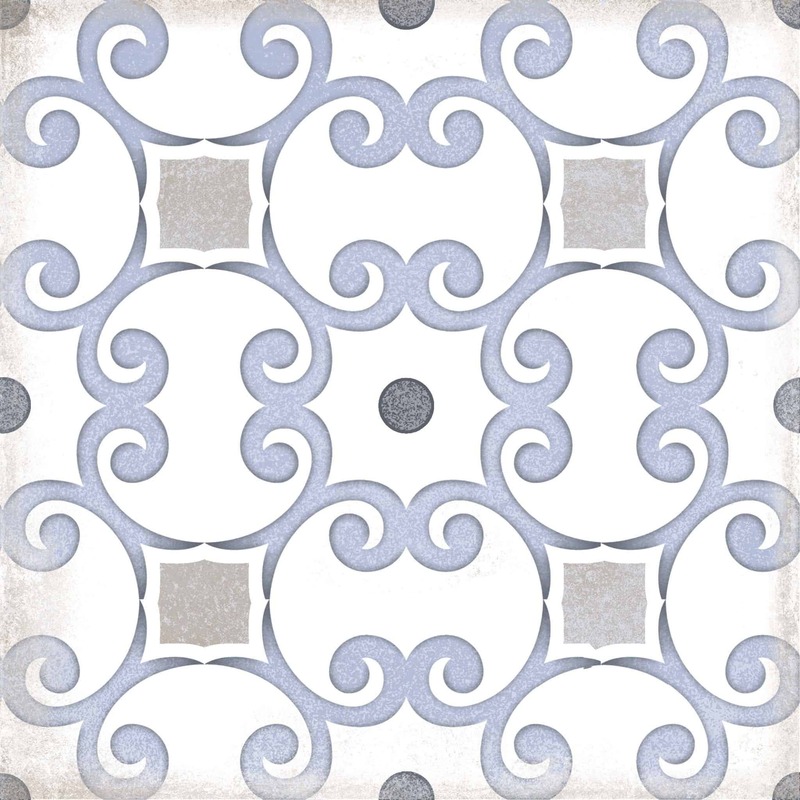 Suitable for kitchens and bathrooms and other living areas. 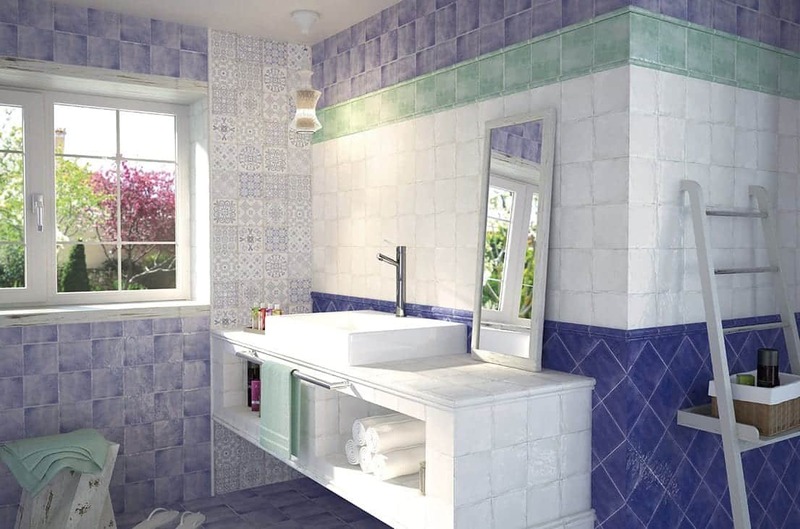 If you need a plain tile to go with this range check out Racine.